Stop for the wings. 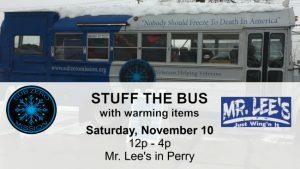 Help us Stuff the Bus. 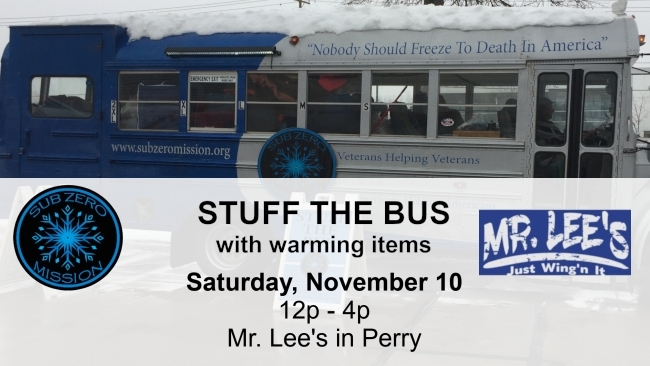 We are collecting our Stay Alive Five at Mr. Lee’s in Perry, Saturday, November 10, 12P to 4P.